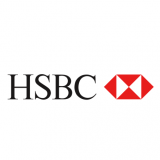 HSBC Bank provide many online offers now. find the latest offers of 2017 form dealshutter.com here you get the latest offer provided by the HSBC bank like buy 1 get 1 offer, coupon code, promocodes and many more that are used on onlline payments. Use code HSBCNEW & get 50% discount up to Rs. 125 on your first order. Valid on first Swiggy order Offer valid on HSBC Debit & Credit Cards. Offer not valid on Domino’s outlets and other T&Cs may apply. Offer valid till Apr 19, 2019. Hurry up! !